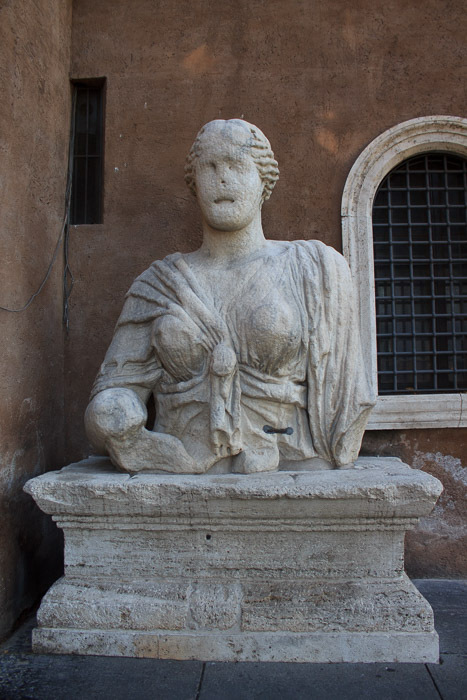 Madama Lucrezia is the 10-foot-tall disfigured marble bust of a colossal statue of the Egyptian goddess Isis. 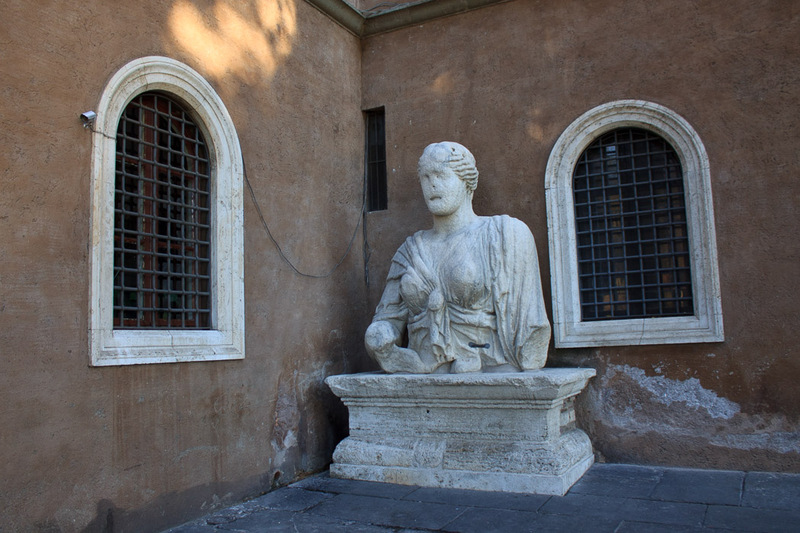 With Pasquino and Marforio it was one of the five "talking statues" of Rome. A talking statue is one that people attached signs to, which expressed dissent against the public figures or poked satirical fun against them. They were written as if spoken by the statue. Lucrezia was the only female talking statue. 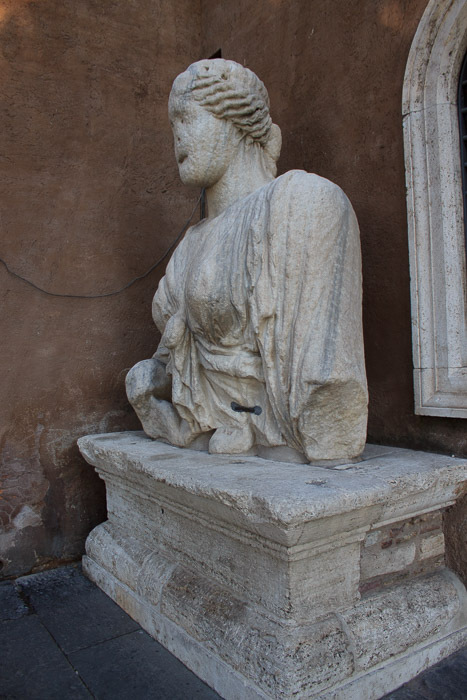 Madama Lucrezia is freely visible at any time, and the nearest metro stop is Colosseo, and is one of the stops on my To the Forum Boarium and Beyond Walking Tour.